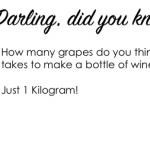 Earthbound wines are produced from the grapes grown at Papkuilsfontein Vineyards in Darling. Situated just 25km from the sea, this area has a high potential for wine production because the vines benefit from cooling sea breezes while a range of hillocks protect it from the potentially damaging effects of the South-Easter. 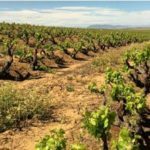 The temperature of this area falls within the cooler end of the heat spectrum of the grape-growing areas in the Western Cape and rainfall is above average for the West Coast. 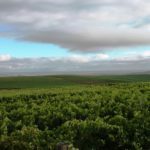 Papkuilsfontein Vineyards near Darling was established in 1998 and is a joint venture between Distell, entrepreneurs and the local Mamre community trust. The project promotes transformation in the SA wine industry, by underpinning the transfer of skills in wine farming, farm management, winemaking and wine marketing, in order to ensure its long-term sustainability. Fairtrade – for every ton of grapes harvested for this wine, a premium of €0,50 is paid to the workers and a joint body, representing the workers decides on how premiums will be spent – community halls, computer facilities, provision of study loans, etc. 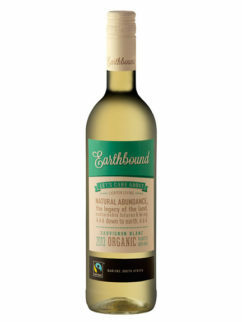 Organic information – Earthbound organic wines are produced using organically grown grapes, and no pesticides, herbicides, fungicides, chemical fertilizers or synthetic chemicals of any kind are allowed on the vines or in the soil. In line with organic requirements, total sulphur levels are kept below 100 pmm (compared with 160 ppm for regular wines).